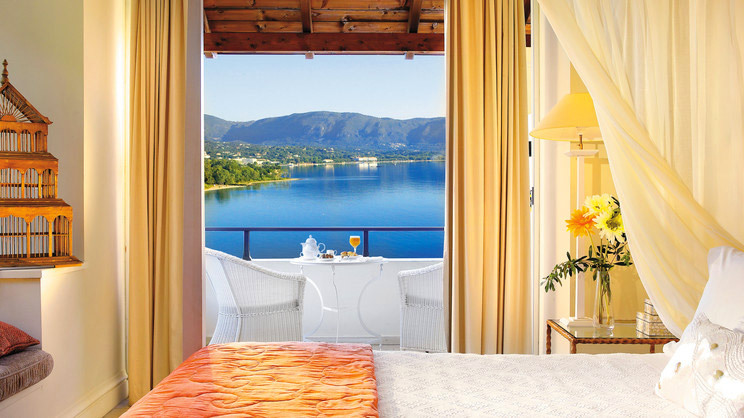 Indulge in a Greek getaway to the stunning island of Corfu, at the Grecotel Eva Palace. A sprawling property with flawless facilities, picture yourself reclining beneath a hot sun and towering palms, with a refreshing drink in hand. Choose from the array of activities on offer or relax at the spa while any younger travellers enjoy fun and games at the children’s club. 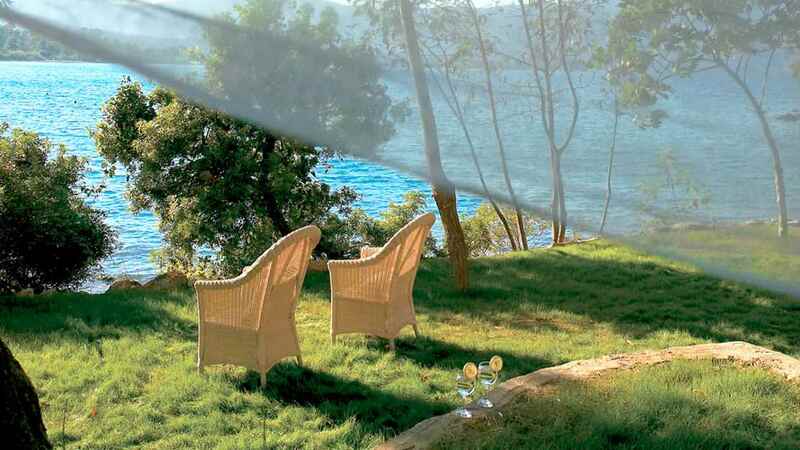 Situated on Corfu’s Kommeno peninsula, the scenic seclusion of the Grecotel Eva Palace will ensure the ultimate holiday haven. 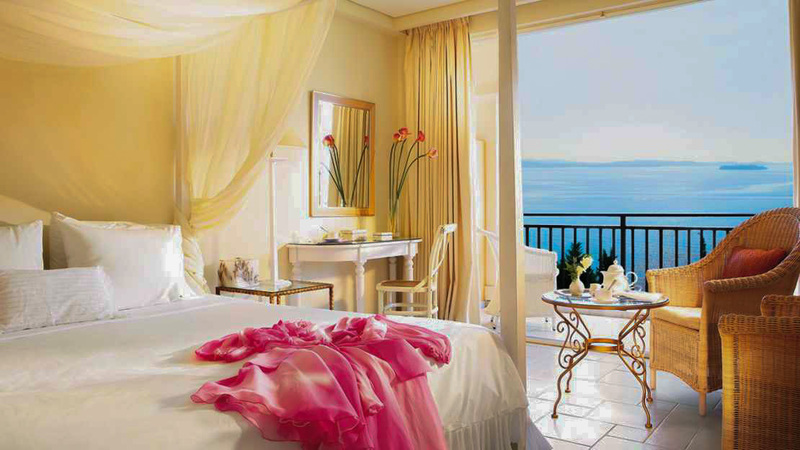 The Grecotel Eva Palace enjoys a beachfront location along Corfu’s Kommeno peninsula. 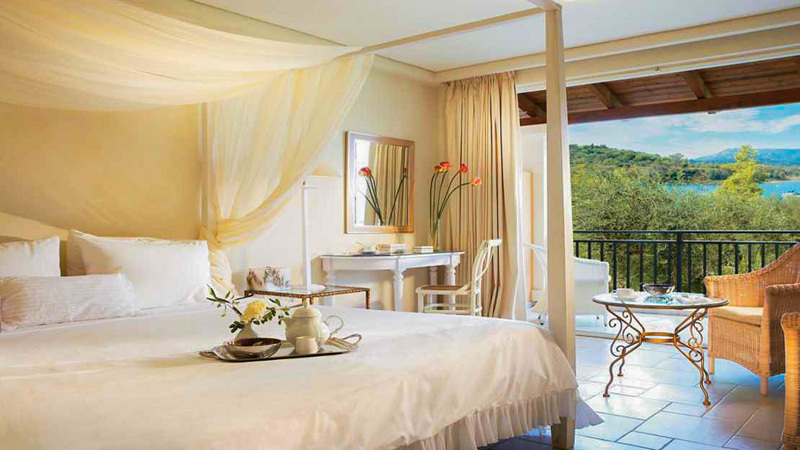 The hotel enjoys an idyllic location with all necessary amenities onsite. 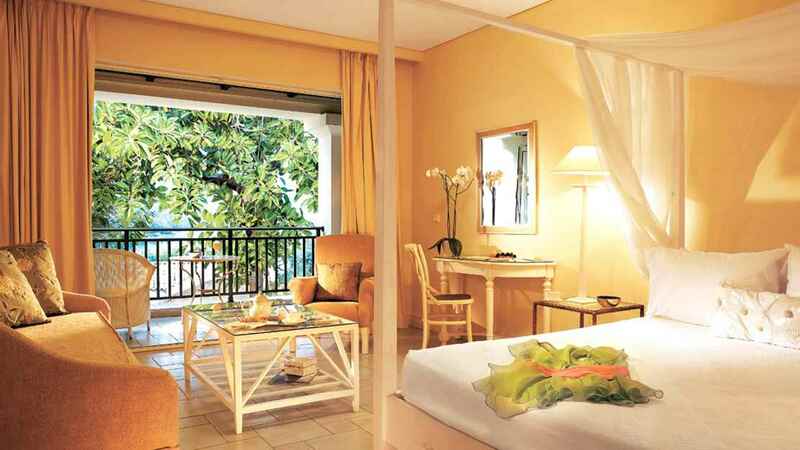 Corfu International Airport is approximately 13km away from Grecotel Eva Palace. Guests on Half Board basis may enjoy 2 dinners in the selected à la carte restaurant (reservation required). 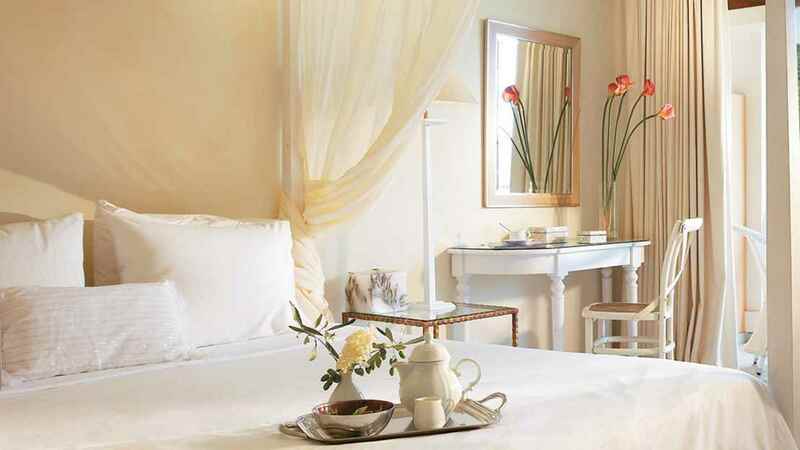 Guests on Bed & Breakfast basis may dine twice at the extensive buffets in the main restaurant.